Fruit-flavoured e-juices are ever popular and it's little wonder: nobody can match Mother Nature when it comes to producing pure and distinctive flavours. 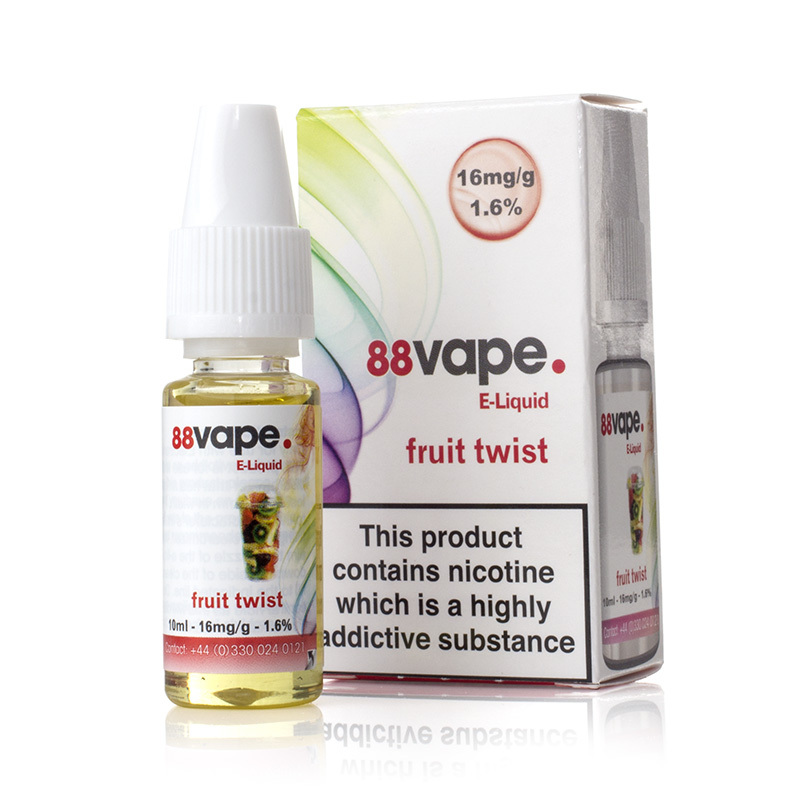 Sometimes fruit flavours get even better when you mix them together, so if you're spoilt for choice and can't decide which fruit e-liquid to go for, why not get several in one with the 88Vape Fruit Twist E-Liquid? 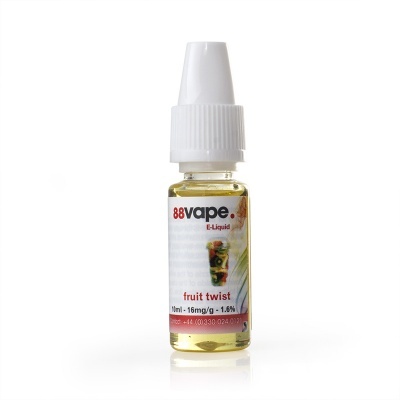 Fruit Twist E-Juice is supplied in 10ml bottles and has two different strengths available for your preference. Bursting with flavour, Fruit Twist contains a blend of strawberry, pineapple, kiwi and grape for an e-liquid with a balanced sweetness. Fruit Twist E-Liquid has a combination of 20/80 (VG/PG) for a strongly-flavoured vape with a powerful throat hit. 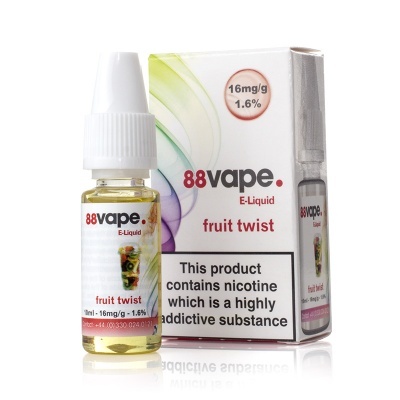 88Vape Fruit Twist is supplied in 10ml bottles only. If you have a sweet tooth, then this is for you. Not for me.